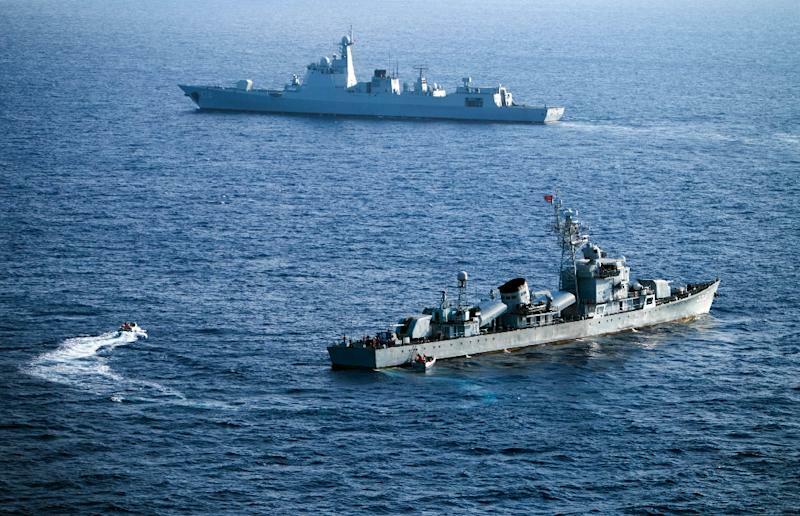 China and Russia were to start war games in the South China Sea on Monday, Beijing's defence ministry said, in a show of force after an international tribunal invalidated the Asian giant's extensive claims in the area. The eight-day joint drills will include exercises on "seizing and controlling" islands and shoals, Chinese navy spokesman Liang Yang said in a statement. "Compared with previous joint drills, these exercises are deeper and more extensive in terms of organisation, tasks and command" he said in the statement, released Sunday. China claims almost all of the South China Sea and has sought to bolster its case by building a series of artificial islands capable of supporting military facilities. 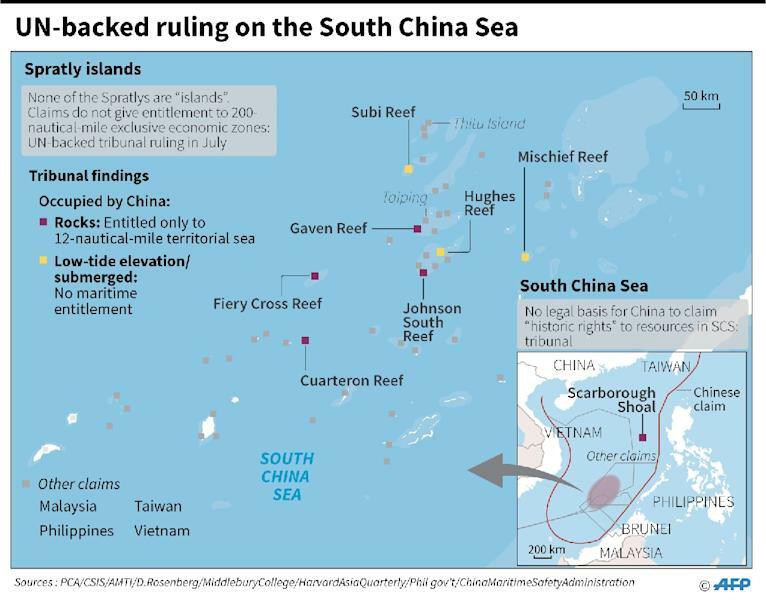 But a UN-backed tribunal ruled in July -- in a case brought by the Philippines -- that any extensive claims to the sea had no legal basis and that China's construction of artificial islands in disputed waters was illegal. Beijing reacted furiously, with foreign ministry spokesman Lu Kang threatening a "decisive response" if anyone took "any provocative action against China's security interests based on the award". Beijing's land reclamations have prompted criticism from other claimant countries and the US, and Washington has regularly sent warships into the strategically vital area to assert the right to freedom of navigation. This week's drills will be carried out off the coast of Zhanjiang city in the southern province of Guangdong. Their precise location was not announced, but they do not appear to be taking place in disputed parts of the sea. 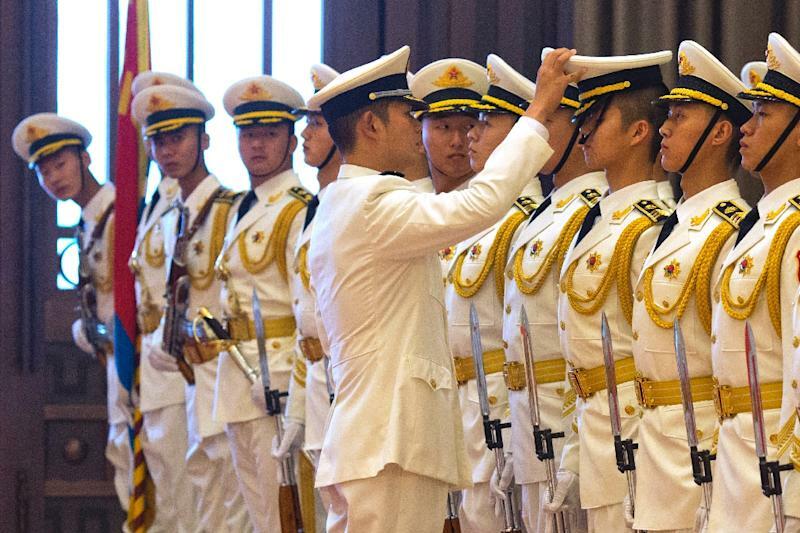 They were aimed at "strengthening the capabilities of the Chinese and Russian Navies in jointly handling security threats on the sea", navy spokesman Liang said. Last August, the two powers held military exercises in the waters and airspace of the Peter the Great Gulf, south of the Russian Pacific city of Vladivostok, involving 22 vessels, up to 20 aircraft and more than 500 marines. In May last year, they conducted their first joint naval exercises in European waters in the Black Sea and Mediterranean, China's farthest-ever drills from its home waters. Chinese military officials have said this week's exercises were "routine" and the official Xinhua news agency said Monday that Western media reports on them had sought to deliver a "sensational impression". Suggestions that they were meant as a "sabre-rattling" warning to other countries were "ill-informed" and driven by "prejudice about China and Russia", it said. "It may be true that growing military ties between Russia and China have irritated someone's sensitive nerves," Xinhua added. "The defensive nature of these manoeuvres is in line with China's defence policy, which makes it clear that China will not be the first to strike." Apart from the Philippines, Vietnam, Malaysia, Brunei and Taiwan also have partial claims to the sea, through which over $5 trillion in annual trade passes.